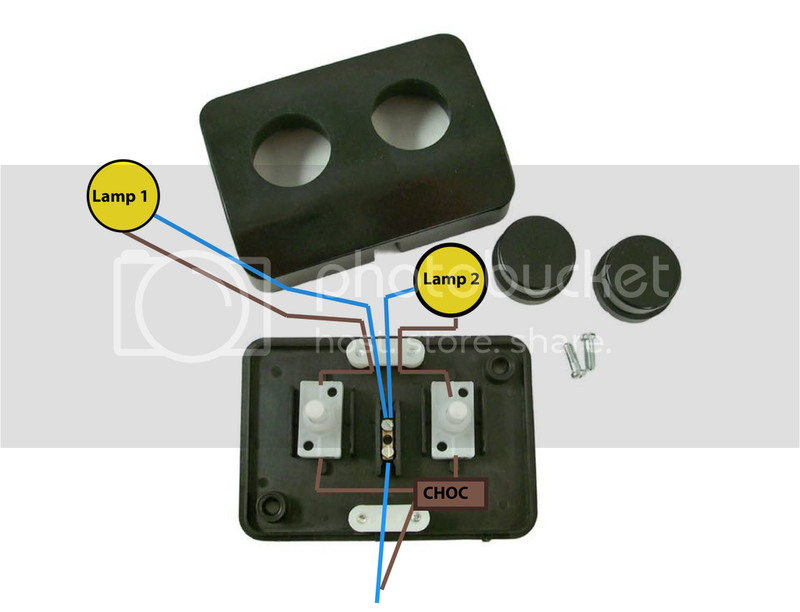 Hey, I have the double-switch from lamp spares, which I'm wiring to control two E27 lamps with LED bulbs. How do I wire the double-switch? I've asked a few people and here are the plans I have thus far. Are these correct? Looks like the switch is missing a chocolate block, if so? Its using a Brown link wire. Thanks guys! Wired it up last night, running the power cable internally and out of the back too, as shown below (required slight widening of the cable exit hole and a strip of black electrical tape at the front). Such a simple but life-enhancing gadget.. I can control both light switches from my nearside of the bed, rather than constantly walking around to the other side, or rolling across both sides of the bed! Aside from convenience, the build quality of the lamp holders from lampspares is substantially superior to the original Ikea units, especially with the screw-in cable retainers. looks good, we all have that 1 gadget that makes our lives easier, i have a lutron RF light switch how lazy so i feel. Glad you like the quality of our products, we do try and aim to get high quality and not cheap stuff that you see floating around.